First Home Buyer FAQ: What You Need to Know. For most people buying their own home is the biggest financial decision they will ever make. Knowing what to expect from the property market is the first step to making an informed choice. Whether you are searching for that dream home or have just begun your savings journey, here is everything you need to know about buying your first home. Most lenders will approve you for a home loan if you can deposit upfront at least 10 percent the total cost of the property. But there is room to be flexible. Do you have a strong employment history and credit score? Then you may get approved with an upfront deposit of just 5 percent. Generally speaking it’s better to wait until you can afford to pay a larger deposit upfront. This is because you pay less interest. Keep in mind if you deposit less than 20 percent, you will most likely have to pay Lenders Mortgage Insurance (LMI) on top of the mortgage and interest repayments. Finally, you should have money set aside to pay for other associated costs such as building inspections, title transfers, stamp duty and legal fees. LMI is a form of insurance designed to protect the lender from financial loss if you fail to make the repayments on your home loan. Most lenders require you to pay LMI if you deposit less than 20 percent the total purchase cost of the property. The good news is, it’s possible to avoid paying LMI if you can prove to the lender you can comfortably make the repayments. For example, you have a strong employment record, history of savings and an overall good credit report. 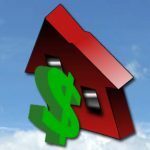 How is My Home Loan Interest Calculated? First, you need to realise that your mortgage payment is split into two parts. The first is paying back the money you borrowed to finance the purchase of the house. The second is the interest charged by the lender, which you have to pay on top of the home loan. Lenders follow a simple formula to calculate your home loan interest. At the end of each day the lender multiplies your loan balance by your interest rate, and divides that by 365 days. At the end of the month, your lender adds together the daily interest charges for that month – the final number is what you see on your statement. What’s an Offset Account? Can it Help Reduce My Home Loan Interest? An offset account is a savings account that is linked directly to your home loan balance. The money in your offset account can be used to cancel out the balance of your home loan. Therefore, the interest you pay is calculated based on the difference between the two amounts – not the remaining total balance of the loan. Let’s say you have a home loan balance of $100,000 and $10,000 in your offset account. Based on these figures the lender will ask you to only pay interest on $90,000. Not the full $100,000 home loan balance. Since interest is calculated on a daily basis, the more money you have in your offset account – the bigger the savings. Am I Eligible for the First Home Buyers Grant (FHOG)? Each state and territory has their own criteria that you have to meet in order to receive the FHOG. In Victoria, you may be eligible to get the FHOG if you build or buy a new property with a value of $750,000 or less. This applies to building or purchasing a house, townhouse, apartment, unit or similar type of building. Across each state and territory you cannot use the FHOG to buy an investment property. If you aren’t eligible to get the FHOG, you may be able to apply for a first home buyer duty exemption, concession or reduction. Depending on your circumstances, you may get a 50 percent reduction on the cost of your stamp duty. For more information refer to the specific guidelines of your state or territory. Do I Need to Hire a Conveyancer? From a legal standpoint, you do not have to hire a conveyancer in order to complete the property transfer. However, they do make the process a lot easier and will ensure that you fully understand the Contract of Sale. In essence, the role of a conveyancer is to act on your behalf during the purchase of a property. They will review the Contract of Sale, prepare all the vital documents – while making sure there are no inconsistencies between the paperwork – and liaise with all parties involved in the transaction. Due to the amount of organisation involved in a property purchase, having a conveyancer can save you from stress and a headache.